Members of Iraq Cyber Army defaced a total of 702 Indian websites on 30 May 2014. 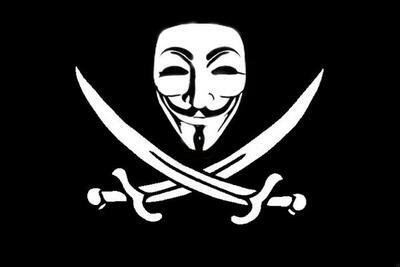 The hackers uploaded the same defacement page on each website where a logo of their group, their name and a link to their official Facebook page was published. At the time of publishing, all the websites were still holding the defacement page. Post by IRAQ Cyber Army. Australian Federal Police have arrested two men who they believe have been defacing and launching DDOS attack on Indonesian and Australian government websites. This was done last November and was carried out using the name of Anonymous. Unauthorised modification of Indonesian Government web servers, to cause impairment, contrary to Section 477.2 of the Criminal Code Act 1995. Unauthorised access to and modification of restricted data belonging to the ACT Long Service Leave Board, Canberra, ACT, contrary to 478.1 of the Criminal Code Act 1995. National Manager High Tech Crime Operations Tim Morris said that these attacks have big impact on government and business services. Several computers and hard disk were seized during a raid in both houses.The police believe that this will take several months to go into all the items due to the amount of information stored in them. Online sales giant eBay posted a message on its official blog stating that it has been hacked. EBay is requesting all its members to change their passwords. In the statement, the company said that a database containing encrypted passwords and other non-financial data was compromised. Along with this, a small number of employee log-in credentials were compromised allowing unauthorized access to eBay’s corporate network. EBay also added that they are working with law enforcement and leading security experts to investigate into this matter and are applying the best forensic tools and practices to protect their customers. They added that they will be sending an email to all customers to request them to change their password as they do not have evidence whether PayPal accounts were accessed by the cyber criminals. "Later today, eBay Inc. will be asking all eBay users to change their passwords due to a cyber attack that compromised an eBay database containing encrypted eBay passwords and other non-financial information. eBay will notify its user base directly within the next 24 hours with more details. In addition to asking users to reset passwords, eBay Inc. said it will also encourage any eBay user who used the same password on other sites to change those, too." After defacing Tata Motors website last week, Pakistani hacker using the codename "H4$N4!N H4XOR" has now hacked and deface 9 more websites. He uploaded the same defacement page of each website. By the time of publishing, all the websites were still having the defacement page hosted. Saudi Arabian Ministry of Interior’s National Information Center is planning to recruit ethical hackers to help in protecting the country’s network. Dr. Zaidan Al-Enezi, external affairs coordinator at the center, said "These hackers will undergo training to transform their abilities into productive energy, and some hackers are proficient in hacking websites only and do not have the capability of hacking programmed networks,"
Hackers who have targeted government websites or systems will not be recruited. Al-Enezi pointed out that employing hackers is not 100% effective but still encourages government bodies and universities to employ ethical hackers (security experts) to protect their system. "The center has the ability to track down the source of hacking attempts, and such information is then relayed to the Interpol, supported by evidence, so they may track down the culprits," he added. 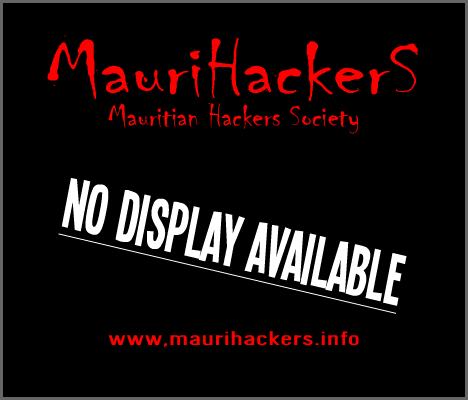 Was The Mauritius National ID Card Website Vulnerable?? 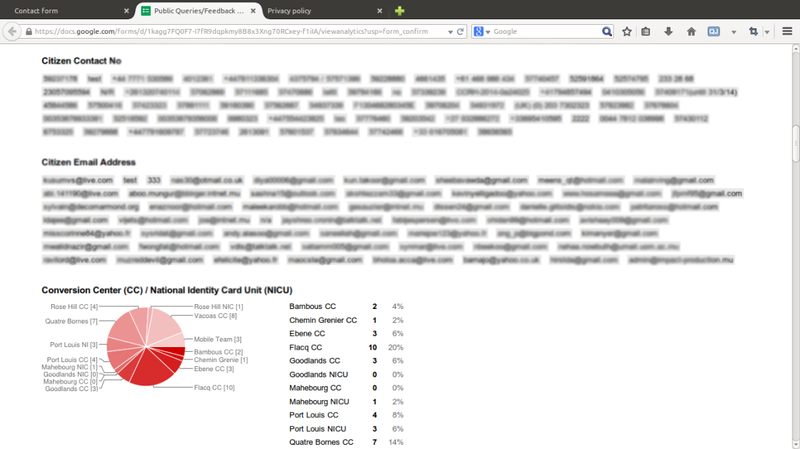 Nitin Sookun, a young Mauritian Linux enthusiast and blogger discovered vulnerability on the MNIC website recently. On his personal blog, he published about what he discovered. According to the article, he came across this vulnerability while visiting the website for information regarding the deadline for the registration of the new ID Card. Not getting any information, he decided to click on the contact form to submit a query. He was surprised to see that the contact form was designed using Google Docs and on top right corner of the form, he discovered the option of "Request Edit Access". As the website was not protected with SSL and was requesting too much of personal information in the form, the young Mauritian decided to test the validity of the form first. He entered some dummy data and submitted the form. He received a notice that the query was recorded and on the same page, he had the option of seeing previous responses. Tempting to see what could that be, he clicked on the link and here was the surprise, every person who submitted queries had their private information listed there, name, national ID number, phone number, age, email addresses and the queries/complaints they submitted. By the time of publishing, the contact page was unavailable. Mr Sookun updated his article twice, first to mention about the patching of the flaw and secondly to publish about the HTML source code of the contact form. We only provide news relating to IT Security and hacking. We make no claim, promise, or guarantee about the accuracy, completeness, or adequacy of the contents of the original article, and expressly disclaim liability if ever there has been any unlawful act by the author of the original article. 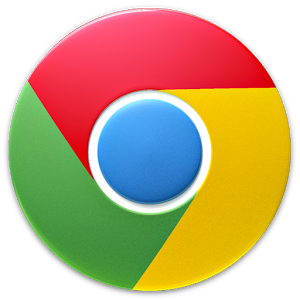 3 security vulnerabilities were fixed in the latest stable Google Chrome 34.0.1847.137. All three vulnerabilities as categorised as high severity. Security experts who reported about these vulnerability were rewarded. Two of these bugs were detected using AddressSanitizer. We advise our readers to update to the latest version as soon as possible. SanDisk Corporation has announced its company's very first self-encrypting solid state drive, which is compatible with TCG Opal 2.0 (PDF) and Microsoft Encrypted Hard Drive. The X300s will be available in two form factors, 2.5” 7mm and M.2 2280 single-sided, with capacities of 64GB, 128GB, 256GB, 512GB, and 1TB. The X300s also comes equipped with Wave System’s EMBASSY Security Center (ESC) as part of the upcoming SanDisk SSD Dashboard software suite. Tarun Loomba, vice president of marketing, client storage solution at SanDisk said, "Wave's collaboration with SanDisk means that our customers will receive an immediate endpoint encryption solution for our new X300s SSD”.. "Wave's EMBASSY® Security Center (ESC) allows seamless deployment of data protection policies, which can also be centrally managed by cloud or server-based solutions from Wave Systems." Wave CEO Bill Solms said "The SanDisk X300s SSD offers strong protection for companies' most sensitive data, and when combined with Wave's superior management capabilities, will deliver customers with a cost-effective, comprehensive solution right out of the box"
A 27 year old Japanese man, Yoshitomo Imura, was arrested for making handguns with a 3-D printer. The police said that two of the five guns recovered were capable of firing. No bullets were discovered at the Yoshitomo's home in Kawasaki, south Tokyo. Imura who is an employee of Shonan Institute of Technology in Fujisawa, bought the commercial 3D printer online for ¥60,000. “I can’t complain about the arrest if the police regard them as real guns,” he reportedly said. The police launched an investigation earlier this year after Imura posted a video online where he demonstrated about the guns which he claimed he made himself. Beware of Phishing Scam "Google+ Fraudulent Verification Survey"
An email pretending to be from 'All Domain Mail Team' at Google+ is at the moment making the round, asking recipients to participate in a 'spam and fraudulent verification survey'. The email is not from Google and is tricking users into giving their Google account credentials. Somehow, there has been some mistake while writing this email, "if verification response is not gotten from you.." "you are a fraulent user.."
Naive and inexperience computer users can fall victims of this scam and follow the instruction given in the mail. The links given in the mail redirect users to a website requesting users to login with their Google email address and password. We advise our readers to be careful and do not sign in with your Google account on untrusted websites. French leading telecommunication company, Orange has been hit again by hackers. Around 1.3million customers personal data have been stolen. The previous data breach was back in February of this year. This breach has been discovered on 18 April and hackers acquired names, email addresses, fixed line and mobile numbers, names of mobile and internet operators and the date of births of the customers. These stolen data can be used for phishing attack. "A spokesman said the group had delayed announcing the latest breach to allow for the scale of the data theft to be assessed and to ensure that the security gaps which allowed it had been closed."